We, at RecipeBlog.in (hereinafter referred to as “RecipeBlog”), respect the privacy of every individual/company who visits our Web site and avails of any products/services. ReceipeBlog, takes the private nature of your personal information very seriously. This Privacy Statement outlines the information RecipeBlog will collect and how we will use that information. We realize that the exciting growth of the Internet and online services raises questions concerning the nature, use and confidentiality of information collected about users. We want you to know that we apply our long-standing commitment to safeguarding privacy to our online and internet activities. RecipeBlog wants you to understand when and how personal information is collected, used, disclosed and protected. Herein below, we explain how RecipeBlog treats personal information collected and received, including information about you that is personally identifiable but is not otherwise publicly available. Most importantly, you agree and consent to the fact that RecipeBlog may collect, use and disclose your Personal Information in accordance with this Policy. If you do not agree with these terms, you are requested not to provide any personal information to RecipeBlog. Selected services as a registered user are available to you only if you provide personal information to RecipeBlog. Consequently, if you choose not to provide us with any required personal information, RecipeBlog will not be able to offer You these certain services. a) RecipeBlog collects personal information when you use our online services or otherwise receive informaton at the time of registration at our website. Other information that you may enter as otherwise during the use of the website or its services, may remain stored in our database. (i) Account Password: The registration at RecipeBlog.in requires you to create a password for accessing our services, which is confidential and sensitive information, collected and retained within RecipeBlog database. But the said sensitive information is just used by you as a RecipeBlog user for gaining access to the services and is not used or accessed by RecipeBlog or its affiliates / partners in any way. (ii) Financial Information: The Bank Details may be visible on the cheques couriered to us for payment of any services, but the complete bank account details are never noted down or processed for any reasons whatsoever at RecipeBlog. Though we recommend direct deposit of payments in our Bank Account either electronic transfer or by drop of cheque. In case of payment made by a secured Payment Gateway at RecipeBlog or any affiliate website, the information is processed at the Payment Gateway, who are PCI Compliant and do not retain the sensitive information for the period more than required. The said online payments are additionally subject to an independent agreement with the respective payment gateway providers. 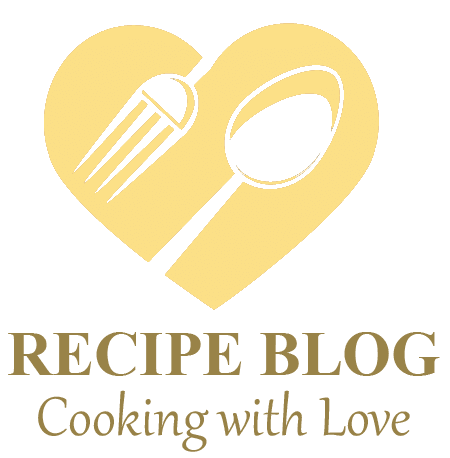 You can write to use at info@recipeblog.in for further information in this regard. RecipeBlog also collects other basic information by your use of our services, including but not limited to statistics on our server logs from your browser, including IP address. Further information like Device information, Location information, and Cookies and anonymous identifiers may be used to identify you or your device. c) RecipeBlog uses the basic personal information for the general purposes of fulfilling your requests for products and services, improve our services, conduct research, or send emails containing advertisements/ newsletters/ notifications or otherwise contact you. d) RecipeBlog reserves the right to keep a register of transactions performed by way of its computer resources and telecommunications network and the right to analyze information contained in this register in order to detect unauthorized, illicit or illegal activities on its network. And even to erase from its computer resources any illegal content or information, in contravention of the terms of Information Technology Act and rules enacted therein, after having knowledge about the same. P.S. No outside agency has been authorized for sharing of any sensitive personal information purpose till now but as and when any such information is available, we will email you for your consent and provide here further details as to any such agency. Finally, RecipeBlog never uses or share the personally identifiable information provided to us online, in ways or for reasons unrelated to the ones described above. f) The Customer shall be deemed to have consented to disclosure of Personal Information (other than the sensitive information) by RecipeBlog.in to its affiliates and business partners by providing such Personal information to RecipeBlog.in in the course of RecipeBlog.in’s performance of the Services. g) RecipeBlog reserves the right to keep a register of transactions performed by way of its computer resources and telecommunications network and the right to analyze information in order to detect unauthorized, illicit or illegal activities on its server. And even to erase from its computer resources any illegal content or information, in contravention of the terms of Information Technology Act and/or any other law for the time being in force, after having knowledge about the same. h) RecipeBlog reserve the right to send you certain communications relating to our services or sponsored advertisements, such as service announcements, administrative messages and the Newsletter, that are considered part of your registered account, with an option for you to stop receiving them. i) RecipeBlog understands the importance of protecting children’s privacy especially in an online environment. The paid / registered services at RecipeBlog are basically not designed for children of 18 years of age or younger, if in India, as they are not eligible to enter into a legal agreement, therefore we allow young cooks to register through their guardian/parent only. Further it is our policy never to knowingly collect or maintain information about anyone under the age of 18 years. Similarly, different age may apply to you according to your country’s jurisdiction. j) Personal information about users that is maintained on our systems is protected using industry standard security measures. We have physical, electronic, and procedural safeguards to protect personal information about our users. However, we cannot guarantee that the information submitted to, maintained on, or transmitted from our systems will be completely secure and transmission of information over the Internet is susceptible to possible loss, misrouting, interception and misuse. k) You may also request that RecipeBlog may delete your Personal Information from system and records. Additionally, you may delete your account anytime at your own free will. However, due to technical constraints and the fact that we backs up our systems, Personal Information may continue to reside in our systems. l) RecipeBlog holding sensitive/ personal data or information of providers of information, shall not retain such information for longer than is required for the purposes for which the information may lawfully be used or is otherwise required under any other law for the time being in force or unless ordered to the contrary by any order of court of law. The information collected shall be used for the purpose for which it has been collected. The personal information is collected and retained by RecipeBlog at it’s server in USA.